EghtesadOnline: As Iranian traders (and more broadly Europeans) wait for the launch of the long-awaited special purpose vehicle by European powers, some businesses fear that the trade mechanism may after all fail to shield Iran’s trade from the long reach of US sanctions. Major European powers say they are still working on the plan to establish the SPV which was meant to be in place before New Year. Tehran has expressed frustration with European procrastination in launching the SPV. Germany’s Foreign Minister Heiko Maas said this week that he was hopeful Europe in the coming weeks would finalize the rare payment channel. However, even with the mechanism in place, many businesses do not think that it would turn things around for firms frightened by the prospect of Washington's retaliatory moves, Financial Tribune reported. Ferial Mostofi, vice president of Iran-China Chamber of Commerce, who recently returned from visits to Europe, China and Hong Kong, is testament to that sentiment. "I attended a meeting in Italy organized by the European House–Ambrosetti. Several foreign ambassadors and some Italian ministers attended and the discussion shifted to the SPV. What we learnt from that meeting was that despite its best efforts, Europe has not been able to achieve much on the SPV issue," Mostofi told the Financial Tribune. Mostofi, who also heads an investment consultancy at the Tehran Chamber of Commerce, Industries, Mines and Agriculture, said she personally does not have much hope that the SPV can or would be a game changer if it finally gets off the ground. European firms attending the Italy business forum generally had the same feeling that Europe will not be able to defend them against the US, borne out by the fact that almost all these companies have already left Iran. "It is worthy of mention that some of these (EU) companies had significant investments in Iran -- about €300-400 million," she said. 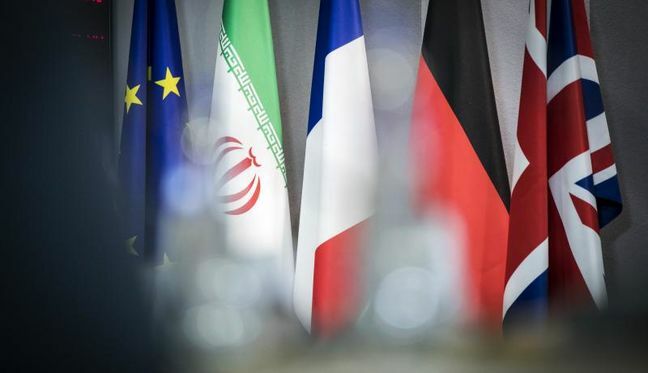 Last year Europe enacted the so-called Blocking Statute to honor the Joint Comprehensive Plan of Action -- the international Iran nuclear deal -- after the US walked away from the historic agreement. The statute allows EU operators to recover damages arising from the extra-territorial sanctions. It also forbids EU persons from complying with the US sanctions. The move has served as a symbolic gesture as it did not prevent the exodus by European firms from Iran nor did it encourage foreign banks to handle Iranian transactions. European SMEs that have little or no exposure to the US market, may fall victim again as big firms already scared out of Iran would deny them services fearing the wrath of the Trump White House. "Our payments for food and medicine from Europe are also up in the air as we do not know how these will finally be processed. Needless to say, this has caused a shortage of medicine in the country," Mostofi rued. The story does not get any better with the Asian superpower and the traditional 'friend in need' as China too has become less friendly. China's Bank of Kunlun, the sole conduit for Iran payments, has found itself vulnerable to US financial pressures. The bank is majority-owned by China National Petroleum Corporation and CNPC has a large presence in the US – 60% of the oil giant's assets are in US dollars – and that greatly endangers its interaction with Iran. "The only provision made available by China is to process orders that date back before October 31 and that too only through banks that are not sanctioned by the US," she noted. "From that date onward, Bank of Kunlun will only handle payments for food and medicine, which is also being delayed because of the inefficiency of China's banking system." Reuters said last month that CNPC is lobbying Beijing to let one or smaller Chinese commercial banks take over the business, or put it directly under a government agency. Defying the inhospitable terrain, Iranian businesses are trying to use alternative channels in the absence of European assurances – the US says it has exempted humanitarian trade from its “unprecedented sanctions” against Iran imposed last November – in order to keep food and medicine flowing into the country. "With regard to the government's policy to enhance the supply of strategic (basic) goods, some of these items have been provided by the government and are set aside for emergencies," Kaveh Zargaran, president of Iran-Brazil Chamber of Commerce told the Financial Tribune. "But importing food by the private sector has become problematic compared to the past because sanctions have further disrupted transport and banking channels," he said. Zargaran noted that major international companies wind down their food trade with Iran after Nov. 4 and banks have refused to handle payments related to Iranian commerce in its entirety–prompting him and his fellow importers to explore innovative methods. "However we have been able to replace the big firms with smaller ones to minimize the disruption along with other methods that I cannot mention," he said. "A flagrant violation of international and UN law is conspicuous as food has also practically fallen in the restricted zone because banks refuse food payments coming from Iran." Hossein Salimi, deputy president of money and capital markets at TCCIMA and a board member of Middle East Bank–among the 15 banks not sanctioned by the US – told the Financial Tribune that while letters of credit for food and medicine are now opened by foreign banks, "the direct SWIFT link that should be in place for two banks" is still missing. "Hard currency is allocated to non-sanctioned private banks in Iran and these banks process payments through their branches and offices overseas in an indirect way, Salimi said. "However, if and when the SPV is in place, a single bank will be designated to process all payments for Iran."